I was recently selected by Influenster to receive the Lancôme VoxBox. It came packed with a selection of some of Lancôme's best selling eye care and makeup products including the Visionnaire Yeux Advanced Multi-Correcting Eye Balm, Bi-Facil Double Action Eye Makeup Remover, Définicils High Definition Mascara, two Drama Liqui-Pencils along with a Le Sharpener. 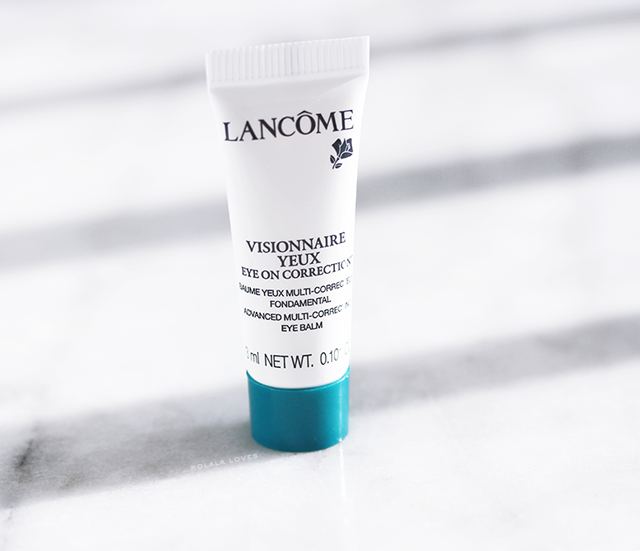 Visionnaire Eye Cream Advanced Multi-Correcting Eye Balm is a multi-action primer and eye treatment cream that eliminates signs of puffiness, fatigue, stress, and crow’s feet. With a hydrating blend infused with HydraBLUR technology to smooth imperfections around the eye area on contact, it has been shown to visibly reduce dark circles, fine lines, and wrinkles. Lancôme Visionnaire Eye Cream has a lovely silky texture and a subtle cooling feel. The blurring effect makes it an ideal daytime eye cream. It brightens and smoothes the under eye area upon application and works well as a primer. It is moisturizing under makeup. This product was less impressive as an eye cream. I don't think it did much for my dark circles other than optically brighten them and it didn't really reduce puffiness either. This award-winning eye makeup remover is a dual phase formulation that activates when shaken to gently remove even waterproof eye makeup while conditioning and refreshing the skin, leaving eyes feeling cool without any oily residue. It is suitable for all skin types even sensitive and contact lens wearers. 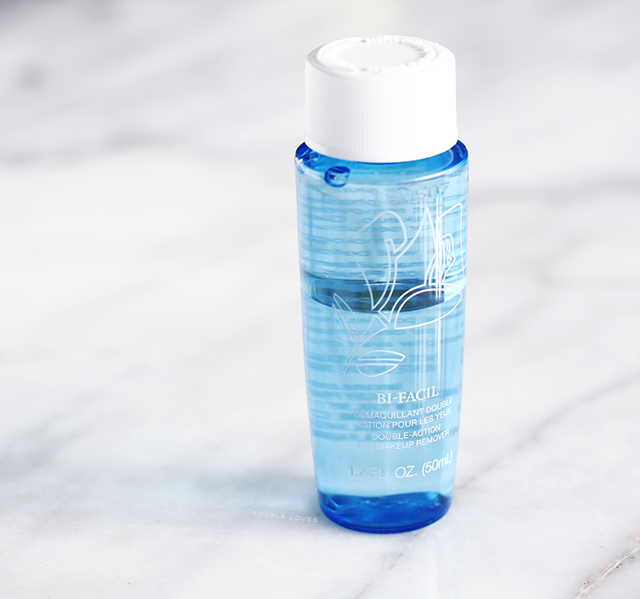 I'm no stranger to the Lancôme Bi-Facil Double Action Eye Makeup Remover and it would be probably be my go to if it not for the price. This is a product that lives up to it's claims, effortlessly removing all eye makeup even waterproof without any irritation or greasy residue. 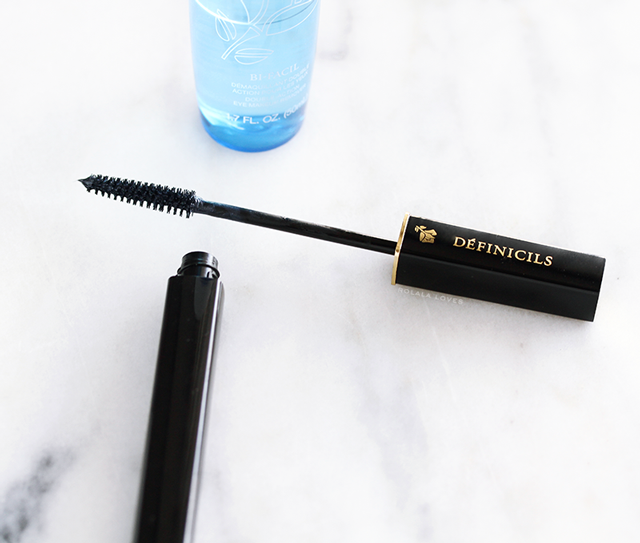 This iconic, award-winning mascara has bio-selective polymers that cling to the lashes through electrical attraction. The “hedgehog” patterned bristles are designed for maximum coverage without any clumping. This mascara is ophthalmologist-tested, fragrance-free, and suitable for contact lens wearers. Lancôme Définicils High Definition Mascara is one that I'm pretty sure I've tried before. It defines lashes effectively with a formula that isn't too wet or too dry. The slim tapered brush separates without any flaking or clumping and even works effectively even on those hard to reach shorter lashes. This mascara lengthens for a natural or lush look depending on how many coats you use. It adds just minimal volume so if you're looking for thick lashes this wouldn't be the mascara for you. It wears well and lasts the day without any smudging or fading and is easy to remove with the Lancôme Bi-Facil Double Action Eye Makeup Remover or micellar water. These color liquid-pencil eyeliners offer the high intensity color of liquid liners with the easy application of eye pencils. They glide on smoothly with a creamy blendable formula that sets quickly for 24-hour wear giving eyes maximum color intensity without budging or fading. Noir Intense is a deep black and Ampoulè is a metallic purple. So these Lancôme Drama Liqui-Pencils do live up to their long wearing claims, do not smudge and they are incredibly well pigmented. They just fell short for me in terms of application. These pencils needed to be constantly sharpened to maintain any type of point which is a little tedious and wasteful. The sharpener they sent is very good with them. The formulation is smooth but a little hard to control. Maybe it was just me but I had difficult time getting an even line when I used these. The black is a true rich black and the purple is very pretty with a subtle shimmer. I really liked the mascara and eye makeup remover and it's not surprising why these are both award winning products. I wanted to like the eye cream and eyeliners more but their overall performance was just not that impressive. Have you tried any of these Lancôme products? Do you have a favorite Lancôme product? Great Lancome products to try. 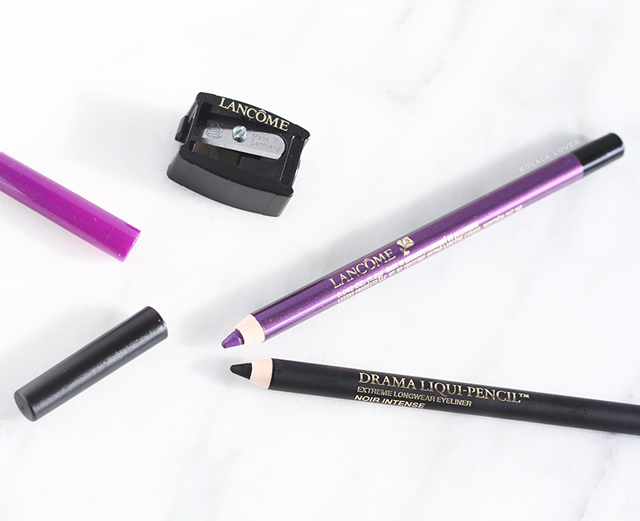 I have that purple eye pencil (my very first Lancome product) and I ADORE it. Lancome... such a great brand!!! I wanted this one! Love me some Lancome!! Oh man! I'm probably the last person on earth who has not tried that mascara. That's going to be a purchase next time I go to a dept.store for sure. I really need something that would last the day, and lately, I haven't had any luck with the drugstore ones I've been using....sigh....Anyhoo, forgot to say thank you for recommending the Innisfree Jeju volcanic clay mask, Rowena! So far, my skin has not broken out and I can totally tell the difference with my skin texture esp. where I had the acne scars! You so rock with all your recs! Your pictures are gorgeous! I love how clear and crisp they are. The liners look pigmented nicely, it's too bad that they didn't perform as you wanted. A great opportunity to try out some new products though! I've never tried Lancome products, but I want too! Great reviews Rowena! It's good to know that the makeup remover lives up to its claims! I love a good makeup remover that doesn't leave a greasy residue after I remove my makeup! I like Lancome products for the most part. That eye makeup remove sounds excellent. But it does such when something like eye makeup remover costs a lot. I will check out that mascara next time I am in the store I am in the market for a new one. I've tried and have the Bi-Facil eye makeup remover. It definitely lives up to its claims. 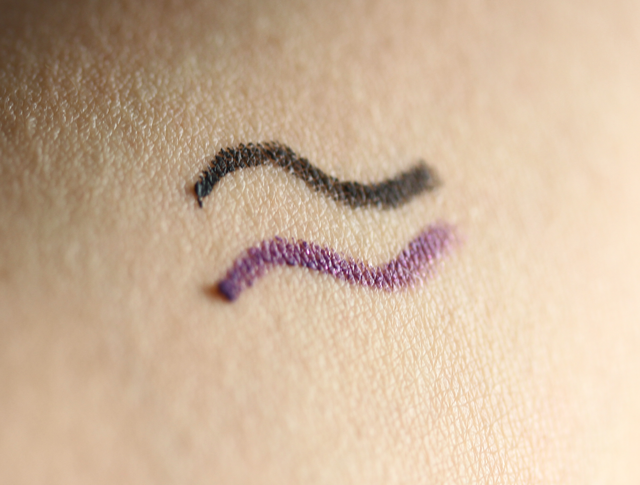 The eyeliner colors are lovely and how annoying that they need to be sharpened constantly! 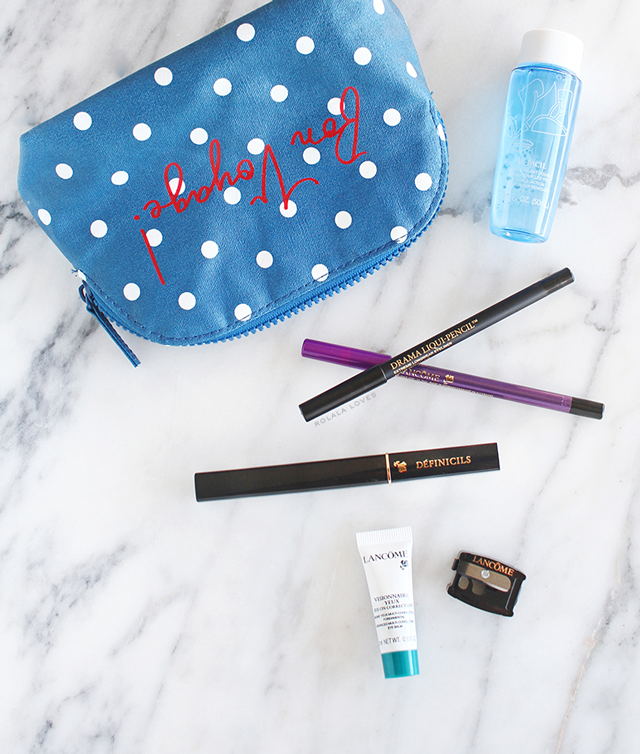 Great beauty box from Lancome! As always, your review is very detailed and helpful, I really feel I got a fair impression about these products. That multi correcting eye balm sounds promising, it is lovely that it brightens (to a degree) the area under the eye and can be used as a primer as well... but too bad it didn't do much for puffiness and that it didn't performed so well as an eye cream. Well, at least it feels moisturizing under the make up and that is always good. The make up remover sounds simply perfect! The mascara also seems lovely. The eye pencils are so lovely! I'm a big fan of eye pencils. These seems so well pigmented. I can't say why it seems to be hard to get a straight line...perhaps they're not creamy enough? It could be due to their formula. Perhaps you could try warming them with hair dryer? I vaguely remember reading somewhere that it might be helpful for better application. Honestly, I can't remember have I tried Lancome products before....I probably have, but I can't remember which ones. Nothing comes to my mind now. I haven't tried any of the above but I love Lancome's eyeshadows, they are so buttery and longlasting. Same goes for their bronzer. Happy holidays, Rowena. You lucky woman to get a Lancome Influenster box! Initially I thought I'll pay more attention to Lancome especially after they hired Lisa Eldridge but I don't know...it's one of the brand that never seems to capture my attention like Bobbi Brown and Clinique. 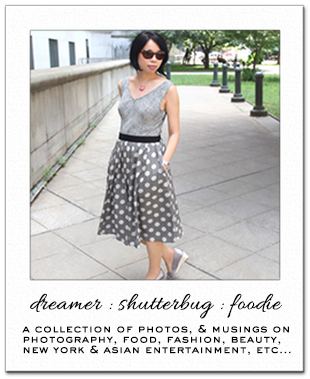 How cool that you were chosen to receive this Influenster box, I always forget about that site. I actually use the Lancôme eye makeup remover when I am not using cococnut oil, and loads of other product in their makeup skincare range because they are one of the few brands (aside from Clinique) that actually offer a shade that suits skin with yellow undertones. I actually love their lipstick and foundation, it works well since I like a light coverage vs. a full. Have a great week, Rowena. At some point in my life I used to buy Lancome only! I love bi-facil; it's top. What I haven't tried yet is the Liqui-Pencil as they seem to be a newer product. Would really love to give them a try and see if it could be an alternative to liquid eyeliner. I tried and liked the Bi-Facil makeup remover, but just like you I don't really repurchase because of the price. And the liner (I got it in a GWP) is actually one of my least favorite eye liners, it smudges horribly on me. Lancome is one brand that always impresses me. I don't think I have ever been disappointed by their products. I need to try out that makeup remover. Rowena, I have that definicils mascara but I have yet to try it. It looks good. I really don't like wet mascaras, so I hope it works. I love those pencils! Will have to try! Congratulations on being selected! They couldn't have picked a better person.